Very rarely does a guidebook on wildlife cover the many complex facets of their behavior. Even more rarely does such a book succeed in evoking the reader’s desire to participate in their conservation. Vivek Menon’s The Secret Lives of Indian Mammals is one such rare book. In a mere 260 pages, it takes a comprehensive look at the ecology and behavior of 14 mammal orders. It is clearly visible that the conservationists’ years of experience on the field gives the book the depth, richness and reality bite it needs to keep it interesting for children. The reader is greeted by a number of introductory pages on mammals. These deal with questions such as “what exactly is a mammal?”, “how many kinds of mammals are there?” and “how does one watch them in the wild?”,among others. The author also addresses commonly held zoological misconceptions, such as the mistaken belief that deer and antelopes are identical. This section is followed by detailed descriptions of each of the various mammal orders. Each paragraph is highly informative. But what really stands out are the anecdotes associated with the ecology and conservation of the various species. Presented in the book as “field notes”, these reveal some little-known facts. For instance, did you know that the unassuming and seemingly harmless slow loris defends itself using its sharp front teeth? The author realized this after being bitten by a loris which he was attempting to release into the wild!!! Another of the author’s interesting primate experiences included coming across a hoolock gibbon lying on a hammock!! Some of these anecdotes also present the grim reality of the decimation of wildlife. For instance, the author talks at length about the tragic poisoning of 11 elephants in Assam, in retaliation for crop raiding. Sections on primates and rhinos are followed by those on ungulates and carnivores. Not a single species is left out as the author embarks on providing voluminous descriptions of their ecology, morphology and life histories. How many encyclopedias can boast of containing information on little-known mammals such as the Great Evening Bat or the Malabar Spiny Dormouse? The Secret Lives of Indian Mammals is one of the very few books to focus on these mammals. No book on Indian mammals can be complete without the inclusion of charismatic species, however. In acknowledgement of the contribution of wildlife tourism to conservation, the author provides helpful tips on mammal-watching. The book encourages readers to look beyond tiger or elephant. In the process, readers may end up running into species such as the Himalayan Brown Bear or the Smooth-Coated Otter, which are even rarer than big cats themselves. As a guidebook for the budding mammal-watching tourist, this book is incomparable. Packing in such an extensive amount of information often comes at a cost of reader attention span. 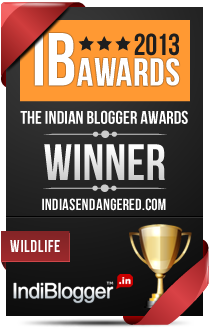 Fortunately, The Secret Life of Indian Mammals is a heartwarming exception. The book’s many breathtaking pictures and sketches are largely responsible for this. They will leave a strong impression on everyone’s mind. Some of the more eye-catching pictures include those of a weasel preying on a pika, one of Simlipal’s mysterious “black” tigers, and a wolf standing alongside the almost-extinct Great Indian Bustard. The author has also succeeded in taking pictures of mammals which are almost impossible to photograph in the wild, such as the Chinese Pangolin and the Clouded Leopard. The well-rounded book has few flaws. It is, on the reader’s part that some facts might be overlooked in the vast sea of information. Also, little is mentioned about the conservation of the not-so-known species of rodents, bats and cetaceans. In today’s tiger-centric wildlife world , it would have been interesting to give more information on the conservation needs of such threatened fauna. Nevertheless, the book will serve as an excellent encyclopedia, reference book and wildlife guide for all ages…not just children. Reputed conservationists often claim that books and films motivated them to preserve wildlife. Jim Corbett’s legendary Maneaters of Kumaon is often quoted as one such book. 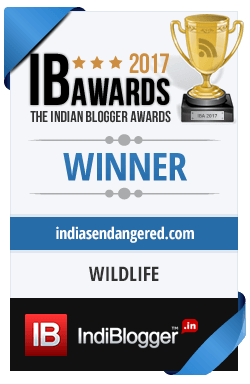 Although vastly different in its nature and content, The Secret Lives of Indian Mammals is likely to provide a similar inspirational streak in the conservationists of tomorrow.